No respite for the UK new car market, up year-on-year for the 23rd month in a row at +8% in January to 154,562 registrations, lifted by private sales up a huge 17% on January 2013… Brand-wise, Ford is back in control with 21,792 sales (11%) and the big event this month is the astonishing performance of Volkswagen, up 25% on January 2013 and teasing Vauxhall for 2nd place overall at 14,436 units vs. 14,892. 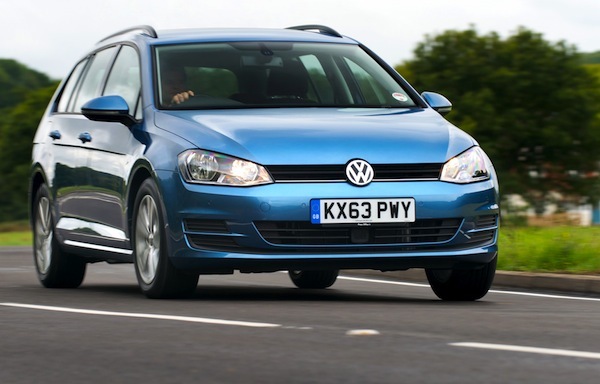 In fact, for the first time in history, Volkswagen places two models inside the monthly UK Top 5 this month: the Golf is up 32% year-on-year to #4 and the Polo up 34% to #5, both passing the Vauxhall Astra. In the models ranking, the podium is unchanged on the FY2013 ranking with the Ford Fiesta in the lead ahead of the Ford Focus and Vauxhall Corsa. 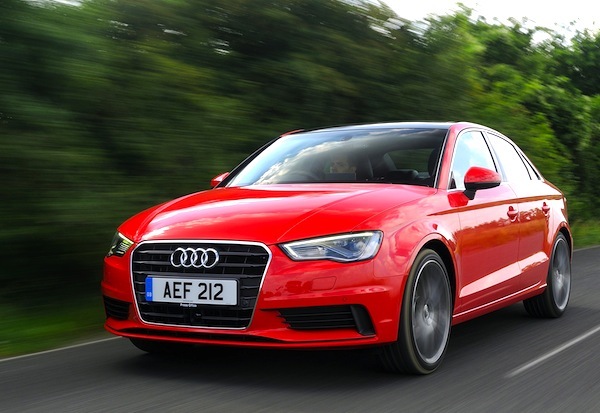 Potentially boosted by the arrival of the sedan variant, the Audi A3 shoots up to #7 this month thanks to 3,130 sales and 2% share. This is the A3’s highest ranking in the UK since August 2012 (#7) and its second-best ever ranking below the #6 it reached in January 2009. Finally the Nissan Juke is back in the Top 10 for the 6th time in the last 13 months and ever as is the Fiat 500 at #10. Full January 2014 Top 10 models and Top 43 brands Ranking Tables below. UK Full Year 2011: All-vehicles Ranking now available!